3 NEW GOLD MEDAL Challenge Millésime BIO !!!! CHABLIS, PETIT CHABLIS 2011, FOURCHAUME 2010 !! The Domaine Jean Goulley et Fils is installed in the Chablisian vineyard’s heart. 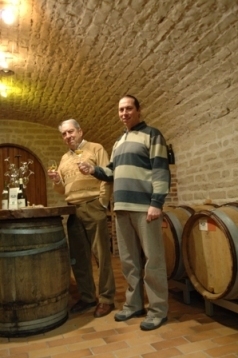 Philippe joined his father at the domaine in the 90' and decided to turn the vineyard into Organic farming. Traditionally in Burgundy, Chablis wines are only made from grapes of Chardonnay. The terroir takes a decisive place in the wine type, that’s why Philippe Goulley chose an organic culture to permit alive and expressive grounds in order to express fully the terroir through his wines. Premier Cru are from the really renowned climate of Fourchaume, Montmains and Mont de Milieu. A way to find back the real and original Chablis style. 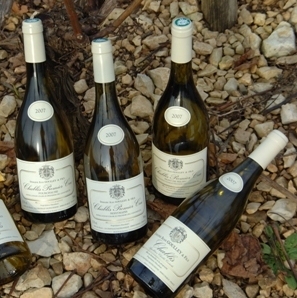 A famous and historical family from Chablis area.